How Often Do I Clean my Carpets in Levittown, PA? This is a question that is frequently asked by homeowners. Usually, people only clean their carpeting when it looks very stained and dirty. However, according to the IICRC, indoor carpeting should be cleaned on a regular maintenance schedule, which OxiGreen Carpet Cleaning in Levittown, PA will summarize for you here below. If you live by yourself, or perhaps with one other person, you have no pets and no smokers in the home, you can plan to clean your carpeting once a year. That is the bare minimum for all carpet cleaning. If you have a pet, small children or a smoker in your household, you should really have your carpets cleaned two times a year. If you have a larger family, a number of smokers or a number of pets, ideally you should clean your carpets four times a year, with every changing season. While this may seem excessive, it really is not. There are several great reasons to not only clean your carpets but to keep them clean as well. First of all, your indoor carpeting is a huge investment, one that you definitely want to protect. Keeping your carpeting clean will prolong its life and prevent premature replacement. Secondly, keeping your carpeting clean will improve the air quality in your house and contribute to the health and well-being of everyone inside. Thirdly, clean carpets make your whole house look and feel better, creating a relaxing environment for your family to enjoy. Give OxiGreen in Levittown, PA a jingle today and let us show you how we can help you keep on a regular cleaning schedule. 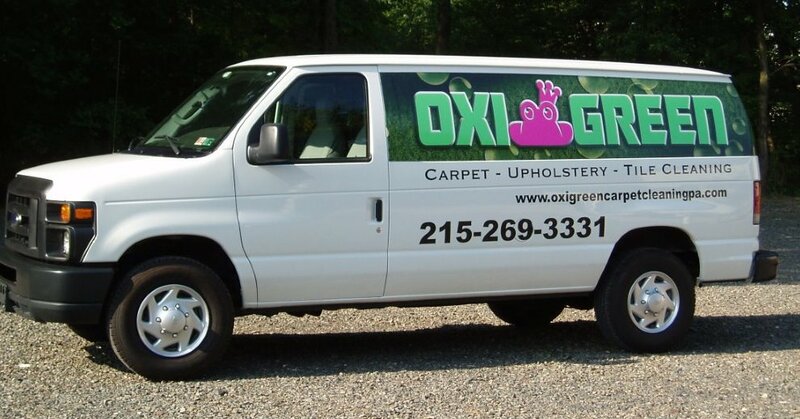 You can also feel free to visit us online at http://oxigreencarpetcleaningpa.com to learn more about our company, our 100% “green” cleaning process, our great package deals and our 100% satisfaction guarantee.